Asif Ali, the young actor who has created his own space in the malayalam film industry in less period of time is on the move to expand his popularity. After acting in 6 movies in 2013, Asif Ali is gearing up to continue his winning journey in 2014 too. He has already committed a number of young generation movies. His announced projects in 2014 include Mosayile Kuthira Meenukal, Apothecary, Hi I Am Tony, Driver On Duty, TT Town 2 Town, Honey Bee 2 and couple of untitled ventures with high-flying directors. Mosayile Kuthira Meenukal, touted an as adventurous comedy thriller pools into the life of Alex and Akbar Ali played by Asif Ali and Sunny Wayne. An unexpected thing which happens during their life journey will take the story to the next stage. 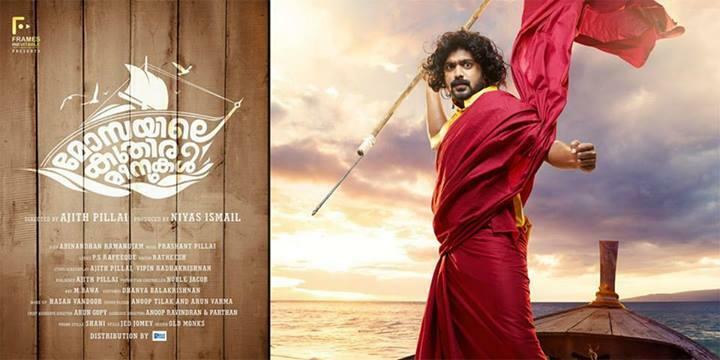 Directed by debutant Ajith Pillai, this movie is produced by Niyas Ismail under the banner of Frames Inevitable. Being made to given an extravagant visual treat for the movie lovers, the picturesque beauty of Lakshadweep and Andaman would entertain the audience and keep them intact. Nedumudi Venu, Janani Iyer, Swati Reddy, Nishanth Sagar, Jijoy and Jojo will give life to prominent characters in the movie. Abhinand Ramanujam stayed behind the camera while Prashant Pillai has lent his support setting the tunes according to different moods. Scripted by Ajith Pillai and Vipin Radhakrishan, the viewers while the movie will transform the theaters into an experience, not felt before. Expected to reach theatres on 11th April, the movie is made with a budget of 4 Crores. Driver on Duty, as the name suggests is all about a police driver who joins a lady police station. Asif Ali will play the role of the driver which is directed by debutant Manoj Palodan. 'Driver on Duty' reveals the problems and issues faced by the lady police officers in rural areas. As there is no male officer in the police station, the character role played by Asif Ali has much to engage with them. South Indian actress Remya Krishnan will do the lead role in this movie while the rest of the cast has not yet finalized. The movie is expected to start rolling in the coming months. Manoj Palodan who is associated with BlueEyes, an advertising company is known as an adfilm director. The young man who had been associated with the malayalam film industry for 17 years, right from 1998 is gearing up to create his own space with his directorial debut. Manoj who worked as the associate of Saji Surandran, Viji Thampi and Venu Nagavalli has well experience with movies. Apothecary directed by Ramadasan will have Suresh Gopi, Asif Ali and Jayasurya in lead. Touted as a technical thriller this movie is produced by Dr Baby Mathew and Dr George Mathew under the banner of Arambankudiyil Cinemas. Apothecary is a historical name for a medical practitioner who lived during 2600 BC at ancient Babylon. The meaning of the title as it says is "a health professional who is trained in the art of preparing and dispensing drugs". As per the requirements of the roles, body language and potential in acting, Suresh Gopi, Asif Ali and Jayasurya were casted. Hair Nair is the Director of Photography (DOP). Ramadasan's 'Melvilasam' which was based on the court-martial of a dalit soldier, was screened in various international film festivals. After the commercial success of 'Hony Bee', Hai I am Tony is Jean Paul Lal's next venture which will start rolling from April 2014. Asif Ali and Miya are to be featured in lead roles while Lal, Biju Menon, and Asha Sarath will give life to other prominent characters in the movie. 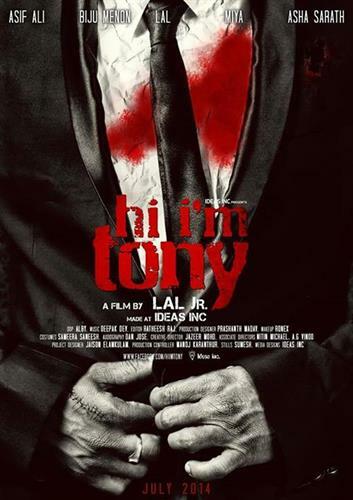 With major locations set at Ernakulam and Banglore, 'Hi I am Tony' is produced by Ideas Inc. Scripted by the director himself, the movie is a romantic comedy creamed with humour and thrills. Asif Ali is one of the busiest young actor in malayalam who has grown matured in his acting. His other committed projects include TT Town 2 Town, Honey Bee 2 and an untitled movie to be directed y debutant Sreebala K Menon. Asif who has already acted in debutant directors is looking forward for his forthcoming project with Sreebala who is much known as a film maker and award winning writer. Sreebala, who has earlier worked as associate to Sathyan Anthikad wish to enter the female directors' league in Malayalam cinema through her directorial debut, which would start rolling very soon.